A student’s journey with Blyth Academy culminates in the University Preparation Program for Grades 11 and 12. Here, preparing for post-secondary education is the primary focus, with an increased focus on developing opinions, interpreting information, independent learning, and active participation in our small-group setting. Experienced guidance counsellors work weekly with each student to prepare them for the first year of University and beyond, with advice and counselling given during the application and scholarship selection process. Academic, personal, and vocational goals are a key area of focus, as the guidance counsellor assists in honing the students’ abilities and skills into potential post-secondary options. As the four-term, two-course approach of Grade 11 and 12 mimics the academic semester structure of post-secondary education, students are prepared to manage their timetable, use their self-directed study skills, and benefit from the familiar “round-table” tutorial system. At Blyth Academy, students are taught to advocate for themselves, nurture a strong instructor-student relationship, and be active members of their school. Our University Preparation Program students can take advantage of all of our campus facilities, including computer and science labs, student lounges, kitchenette facilities, student clubs, and intramural sports teams. The academic year of the Blyth Academy University Preparation Program is divided into four terms of ten and a half weeks. This cutting-edge restructuring of the traditional academic school year has dramatic benefits for the student. 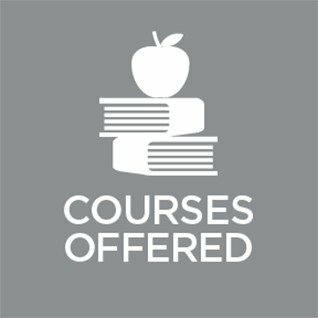 Our University Preparation students take only two courses per term, as opposed to a more traditional semester setting (four courses a semester) or a full-year setting (eight courses daily spanning the entire academic year), meaning that our students are able to manage their academic workload much more effectively. 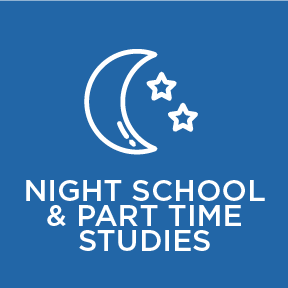 Two-hour classes, taken five days a week, allow more time for in-depth review and for individual attention to our students on an ongoing basis. Students select their courses at the start of the school term and are given their schedule and room assignments. The third period is free for independent study, assignments, extracurricular activities, guidance counsellor visits, independent exercise programs, sports training, or other homework. Students entering Grade 12 at Blyth Academy may only need six credits to graduate. In this case, Grade 12 students take two courses in Term 1, two courses in Term 2, two courses in Term 3, and then are eligible to graduate in April, leaving time to enjoy a victory lap, one of our exciting travel programs, or take a part-time job in advance of departing for University. If desired, Grade 12 students can take two Blyth Summer School credits during July and August before the start of the school year, allowing for graduation and all of its benefits as early as February.